License renewal becomes available when your license term is less than 14 days. When the subscription expires, the application continues to work with limitations. It will scan your devices for viruses, but new antivirus databases will not be added. 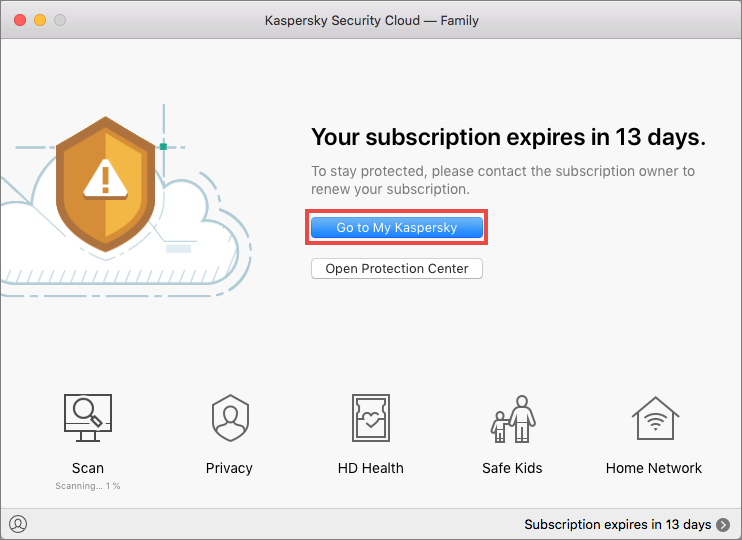 Open the main window of Kaspersky Security Cloud for Mac. Click Go to My Kaspersky. The Licensing window will open. 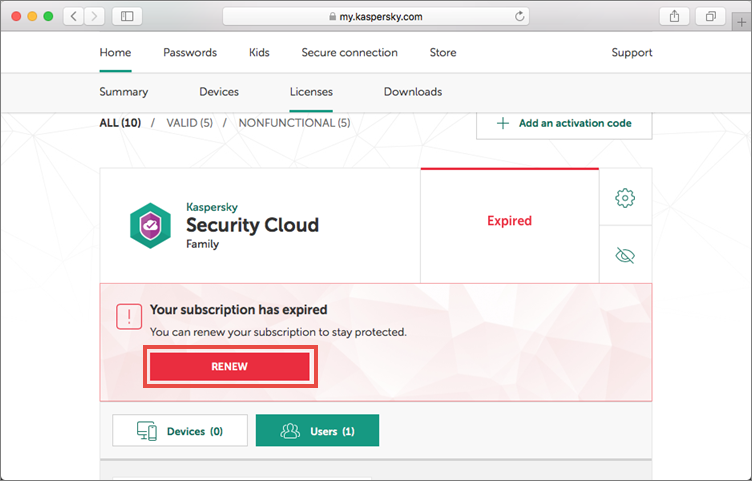 Find Kaspersky Security Cloud and click Renew. You will be redirected to the My Kaspersky store. Fill in the required fields and enter your payment details. After payment, the term of your subscription will be renewed in the application and in My Kaspersky. If you made your purchase via the Kaspersky Lab store or My Kaspersky, contact Digital River's customer service department. Create a request to Digital River via this web form. If you made your purchase via a different Kaspersky Lab partner, you will need to contact them directly.